As the summer came to a close and fall crept in..literally (it still feels like summer in Atlanta), I decided to lay low for a bit. I spent less time on social media and more time with my family. Those two actions alone helped me to feel a bit more centered and content with focusing on what really matters. I also decided to finally tackle one part of my office makeover that I had been putting off -- selecting a rug. I've rounded up some of my favorites in hopes that you can help me out. 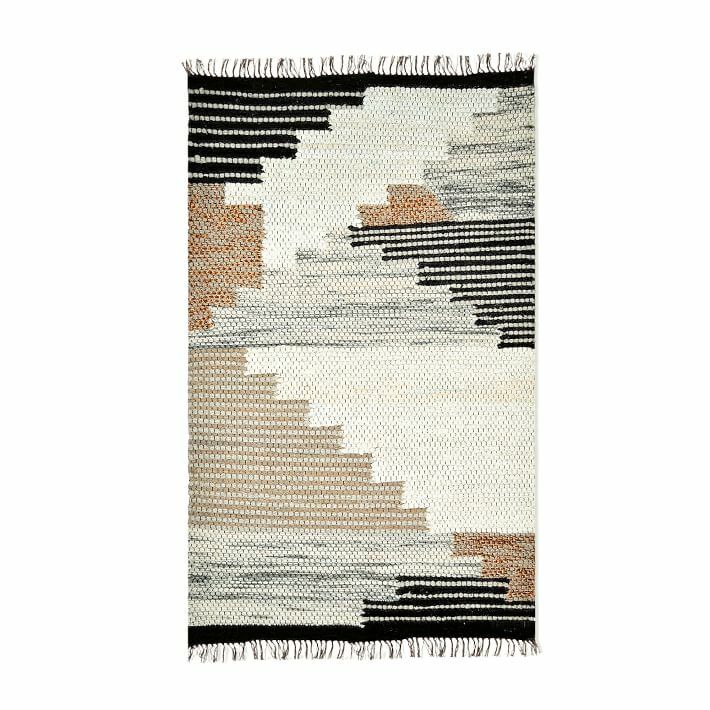 The Black and White Striped Rug pictured above from CB2 is at the top of my list. Which one is your favorite? What are your go-to sources for rugs?